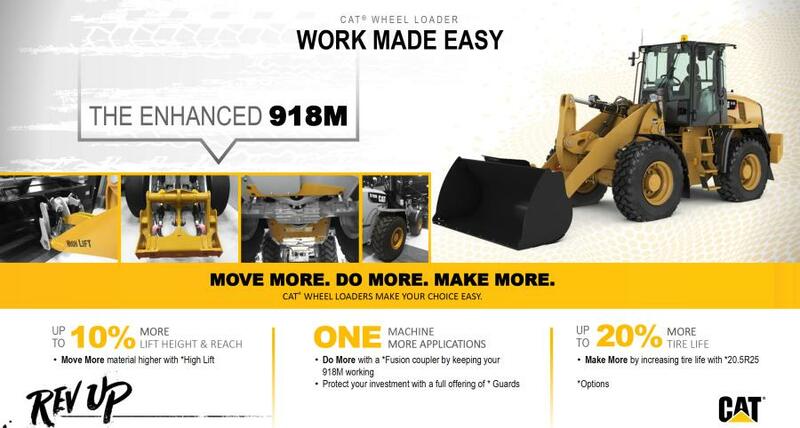 The Caterpillar 918M compact wheel loader now comes with a range of new options. The new high-lift loader linkage option is designed specifically for applications in waste and recycling, agriculture, and construction that can benefit from increased lift height and increased reach of the loader linkage. The newly designed loader arm assembly can provide up to 10 percent more lift height and reach compared with the standard loader linkage equipped with a similar work tool interface whether pin-on, IT (Integrated Tool Carrier) coupler or ISO coupler. A 918M configured with both a high lift linkage and 20.5 tires will have a bucket pin height over 13 ft., 5 in. Three new 20.5R25 tires for the 918M offer a number of benefits, compared to the standard 17.5R25 tires, including up to 20 percent more tire life and increases in traction, stability, and tipping capacity — all resulting in reduced operating costs. Width-over-tires is approximately 91 in. for the larger 20.5R25 tires. 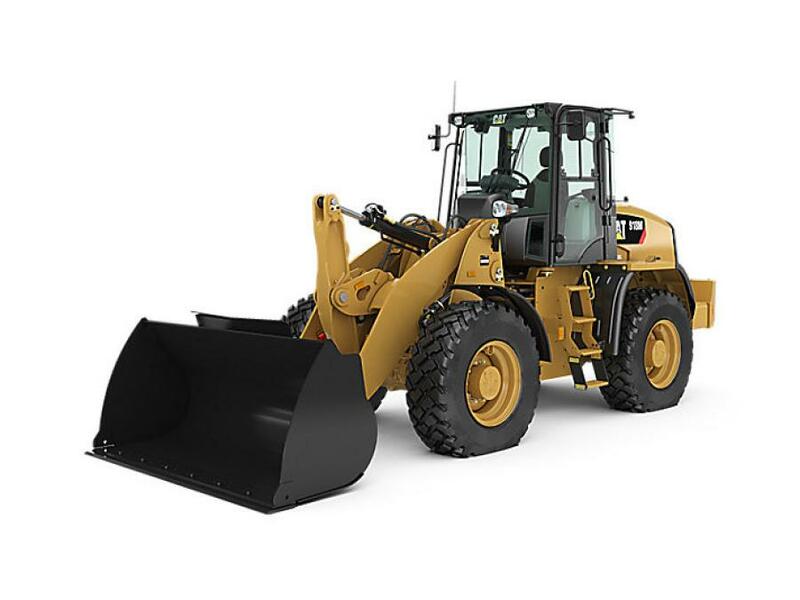 All three tire options must be used with the Fusion coupler or with the optional high-lift loader linkage to ensure that work tools rest level on the ground. An oscillation limiter eliminates tire-to-fender interference. Crankcase guard mounts beneath the engine to protect the oil pan.